Trinity United Church of Christ got its origins on March 19, 1760, when Peter Apple deeded one acre of land; the land on which Apples United Church of Christ now stands. In the year 1813, extensive repairs were made to the old log church. But as the congregation grew, it was decided to build a stone church. The cornerstone was laid on April 13, 1826. 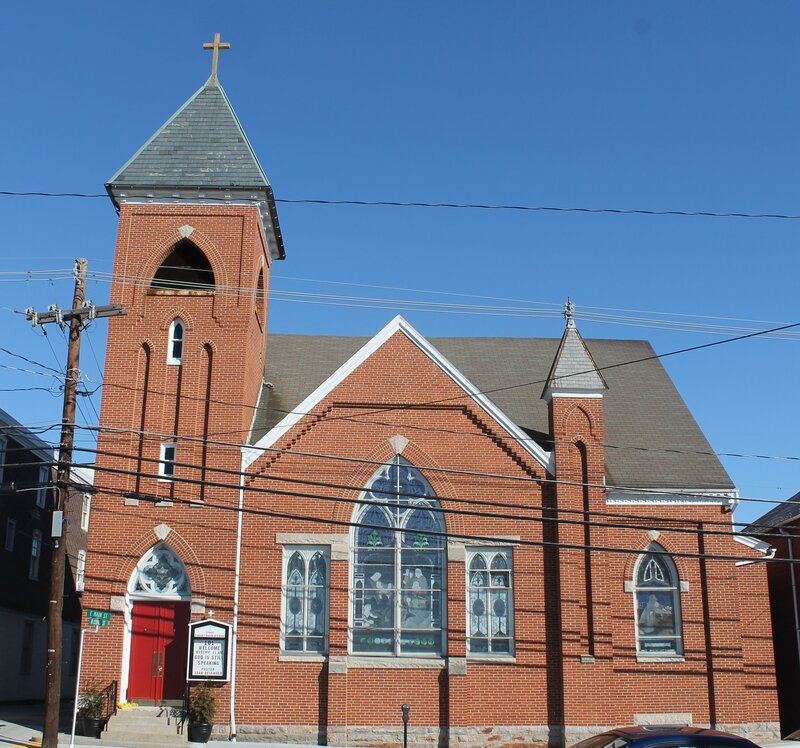 In 1857, the Lutherans announced their intention to move to Mechanicstown (today known as Thurmont) and build there, which they did the following year. The Reformed congregation decided to remain and the same year adopted a constitution as an independent organization. Later, the Reformed people, like the Lutherans, saw most of their members moving to Mechanicstown. With this in mind, they built Trinity Reformed Church in 1879 and it was dedicated on June 13, 1880. As the congregation continued to grow, it was decided by committee to build a new main Sunday School room, a primary department as well as a new Santuary. The new church of early Gothic style architecture was dedicated on July 20, 1902. In June 1957, the Evangelical and Reformed Churches united with the Congregational Christian Churches to form the United Church of Christ. It is hoped that Trinity congregation can continue to serve the people of its community, state and nation for many years to come.